The Super Bowl is a favorite platform of Hollywood to promote the biggest movie releases of the year. There will be though only a handful of movie trailers along with other Super Bowl ads during the Super Bowl 2012 on February 5. Which movies actually get the honors of a Super Bowl trailer is kept pretty much secret until the last minute. The days before the Super Bowl studios, directors and producers start to leak which movie will be promoted during the Super Bowl. Below we put together a list of hot 2012 Movies that might be featured in a Super Bowl trailer. So far only six Super Bowl 2012 Movie Trailers are confirmed. We do not expect any more, but with Super Bowl you never know. There could be surprise movie trailer that we did not have heard of. Act of Valor - February 24, 2012 - Confirmed! 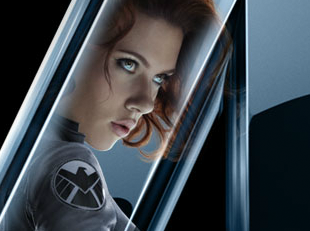 The Avengers - May 4, 2012 - Confirmed! G.I. Joe: Retaliation - June 29, 2012 - Confirmed! The Dictator - Summer - Confirmed! Battleship - May 18, 2012 - Confirmed! John Carter - March 9, 2012 - Confirmed! Several movies will get promoted outside the actual Big Game broadcast.